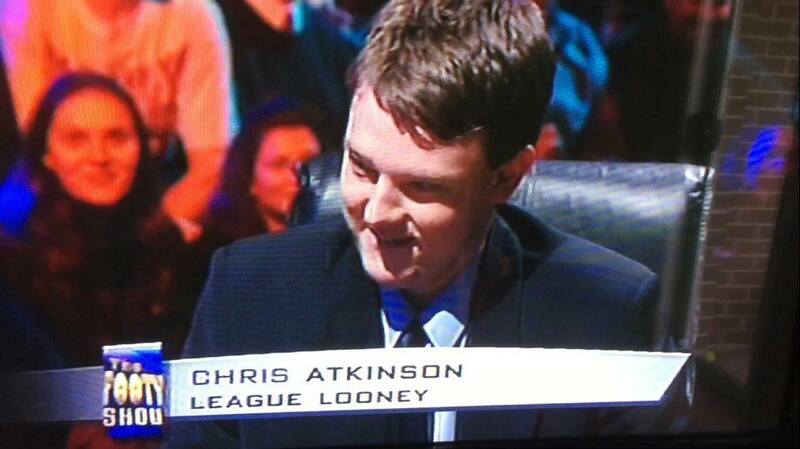 Chris Atkinson is a collector of Rugby League knowledge, stats and facts memorised. Allawah, heart of St George Dragons territory, I lived no more than a ten minute walk from Kogarah Oval. 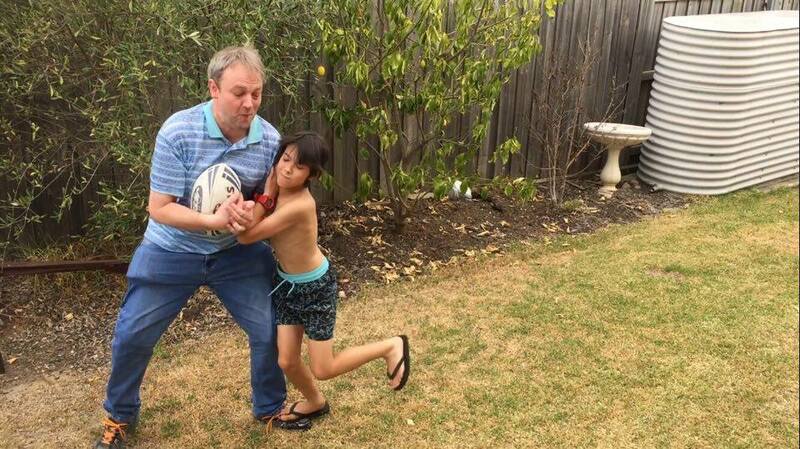 When did you start your obsession with rugby league? My Dad used to take me to the game when I was a kid and just fell in love with the game. 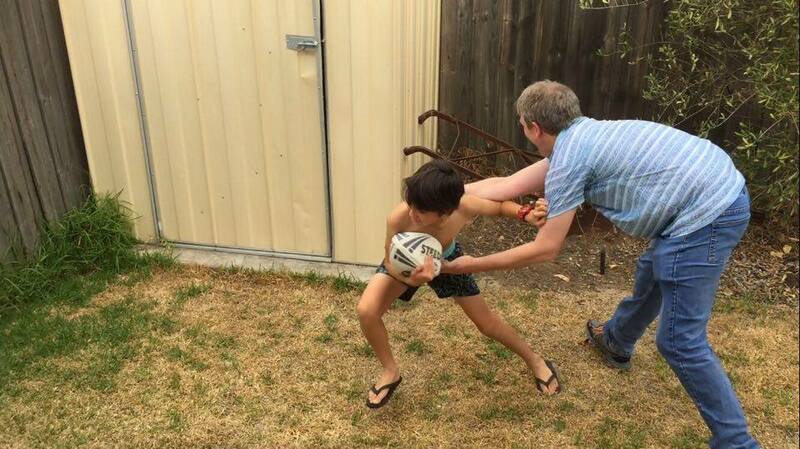 What were your most memorable experiences of rugby league as a child ? I remember going to a game when I was 8 years old, Canterbury v St George at Kogarah Oval. Ricky Walford scored 26 points in that game. What did you collect as a kid ? 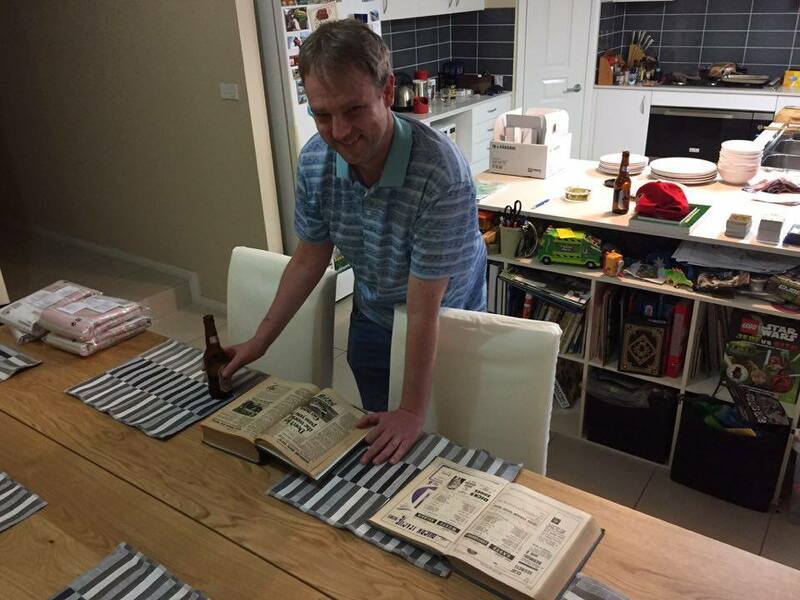 I wouldn't say I was a big collector, I remember in 1994 there was a sticker book and footy cards and David Middleton Stat books. The 1990 season they were really pushing this book called Rugby League 1989/90 and a few weeks later my mum asked what I want for my 9th birthday and I said I want this book. I read that book cover to cover, once I opened it I couldn't put it down. I used to read the Big League and Rugby League Weeks, I would always ask Dad to get me the Big League. When did you realise you were remembering match details such as scores and crowds? I have always been a big fan of Rugby League, but the 1989 season was when I really started to get into it. I started watching all the games that were televised and just remembered all of the stats such as crowd numbers. I was nine years old and I remembered details from the games I was at and then that book I remembered all of those details. Tell us about your passion for the Dragons? When I was old enough to go to the games myself, I would always try and rock up to the lower grades as well. On the days I didn't go to the ground we could still heard the crowd because we lived so close and if you could hear them we knew Saints had won. In 1997 I went to most games, only missing two times and in 1998 and 1999 I went to every game. 2000 to 2002 they left Kogarah and I just went to games here and there and then in 2003 they returned to Kogarah and I went to every game again and most games down at Wollongong. Now days I still go to the Kogarah games and Anzac matches, when they started the Red V membership since they started it in 2002. In 2008 I let it lapse, I did have a seat in the Grand stand and pretty much lost it with that one year lapse and now I am on the hill which is not a drama for me because that is where I used to go and watch it with my Dad. The atmosphere in the hill is awesome and the grand stand there is no cheering or anything. What are you focusing on collecting these days ? I kept collecting the David Middleton year books and remembered all of the details. I do have a few St George jerseys, I have given quite a few away over the years. 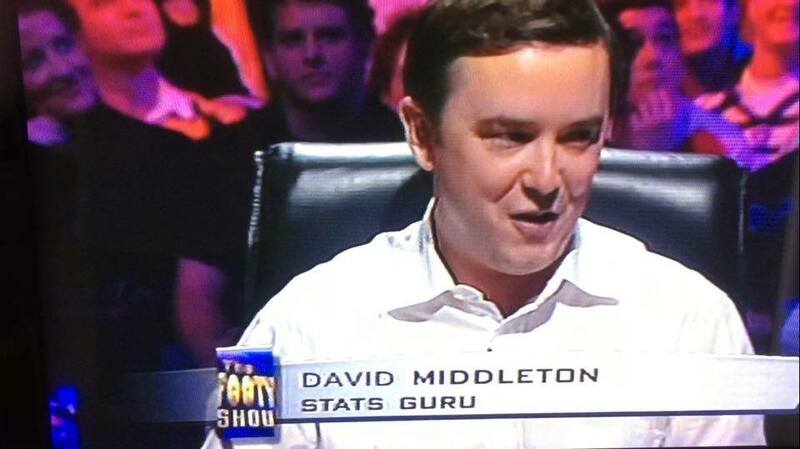 When did you think you knew enough in a quiz to be able to take on someone of the caliber of David Middleton? Probably when I was 16 or 17. I probably should have been paying more attention to my school work in year 11 or 12 rather than concentrating on rugby league stats. If the footy was on TV I would find a way to watch it. David and Golliath ? 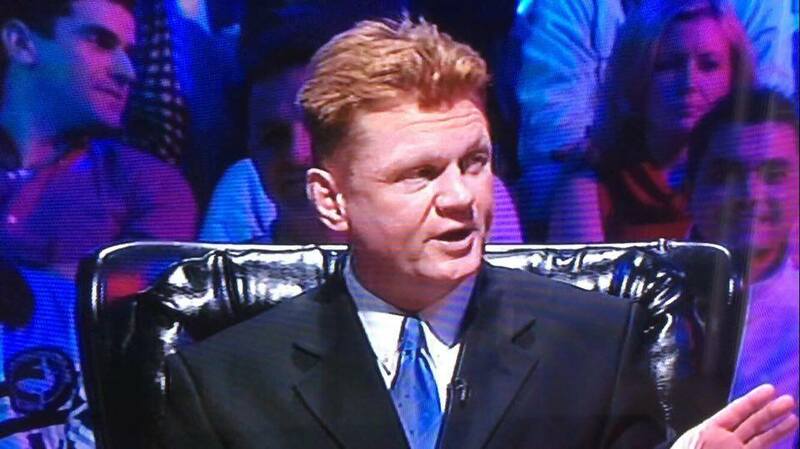 How did the challenge with David Middleton on the Footy Show happen? I actually remember the date of the advertisement, it was the Sun Herald January 28th edition 2001 saying fans could be a host on the Footy Show and my friends had been saying for years I should try and get on there. One of the things required to enter was to shoot a video of yourself and send it in and I just did it. A friend of mine who shall remain nameless was meant to help me with it and he didn't and I just set up the video camera and told them what I knew such as Grand Finals and State of Origin scores. How was the lead up to your Footy Show appearance? It was six weeks later on a Tuesday and I had left my mobile phone at home whilst I was at work and I got home and switched my phone on and there was six voice mail messages from Glenn Pallister who was and I believe still is the Executive Producer of the Footy Show. He was saying we want you on the show this Thursday and we are starting this new segment called David and Goliath and you will be challenging David Middleton. He said give us a call back soon and we will have some tickets for your friends too. 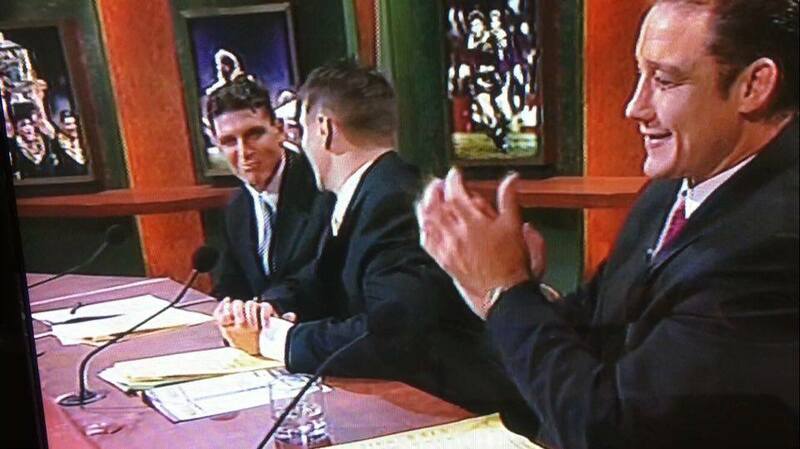 I gave him a call back and two days later I am on the Footy Show. I was jumping for joy on one hand and the other I was shitting myself, I didn't sleep on the Tuesday or the Wednesday night and then I was on TV on the Thursday night. 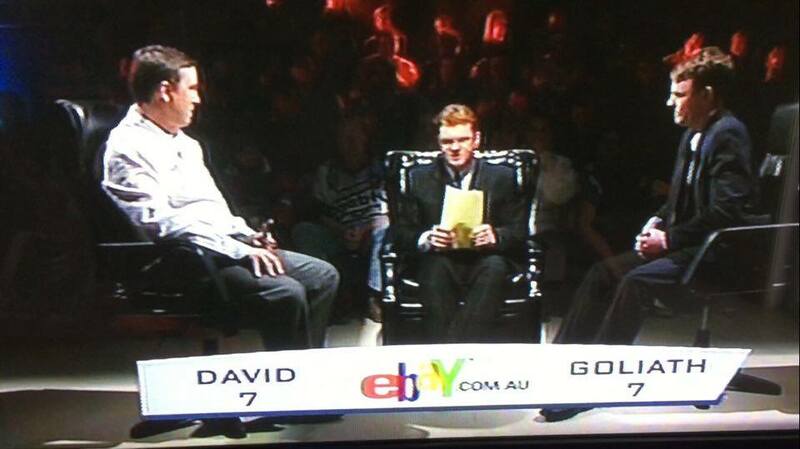 I was more nervous to be on TV compared to challenging my childhood hero David Middleton. David and Goliath Challenge? How did you go on the night? They called David Middleton and me into put makeup on, I couldn't believe they were putting make up on me. I had a slow start but came home with a rush. The slow start was definitely nerves. If there was a second challenge I think he would wipe the floor with me, he can recall stuff no one would even think about. How do you keep up to date with the latest facts and figures? I don't have pay TV but I do still watch every game and I love listening to the Triple M Continuous Call Team on Monday nights. What got you into Refereeing? My parents decided not to let me play Rugby League because I was too small and I just remember seeing an Ad one year in the St George Leader and they had an advertisement to become a referee. I was refereeing in the St GEorge junior league from the age of 15 years old. It was very rewarding, I refereed from 1997 to 2000 and that period is when I really enjoyed the game the most. I refereed Jason Nightingale in a local game and I was also lucky enough to referee Wes Naiqama in a trial game as a fluke. 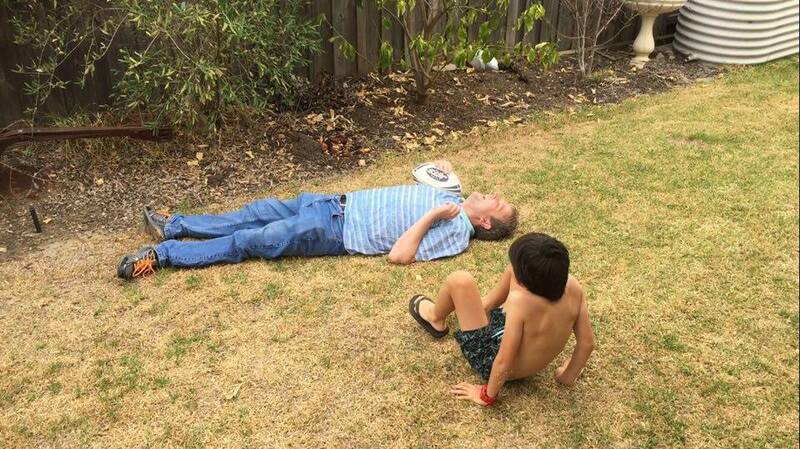 I was virtually refereeing kids, if there was any dramas some parents taking things over the top. The best footy team you have seen? The bistro at Allawah hotel.